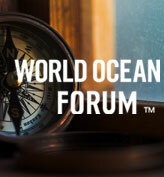 World Ocean Forum is a place for key ocean voices: professionals and Citizens of the Ocean alike, to contribute to an active forum of opinion, ideas, and proposals for change in ocean policy and action worldwide. 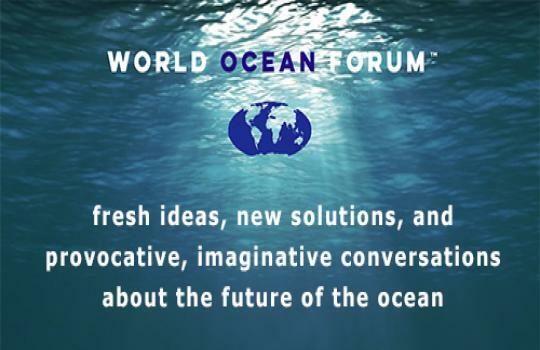 World Ocean Forum is actively pursuing submissions. To inquire about becoming a contributing writer, please contact us: director@thew2o.net. Environmental Educators! 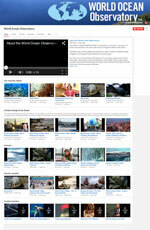 Looking for activities, lesson plans, science projects or marine species resources for the classroom? 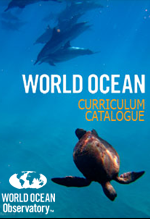 The Ocean Curriculum Catalog provides a comprehensive list of links to educational content, lesson plans, and educational activities for kindergarten through secondary programs. 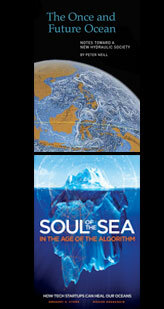 A weekly series of five-minute audio essays on a wide range of ocean issues from science and education to advocacy and exemplary projects, brought to you by long-time host and World Ocean Observatory director Peter Neill. 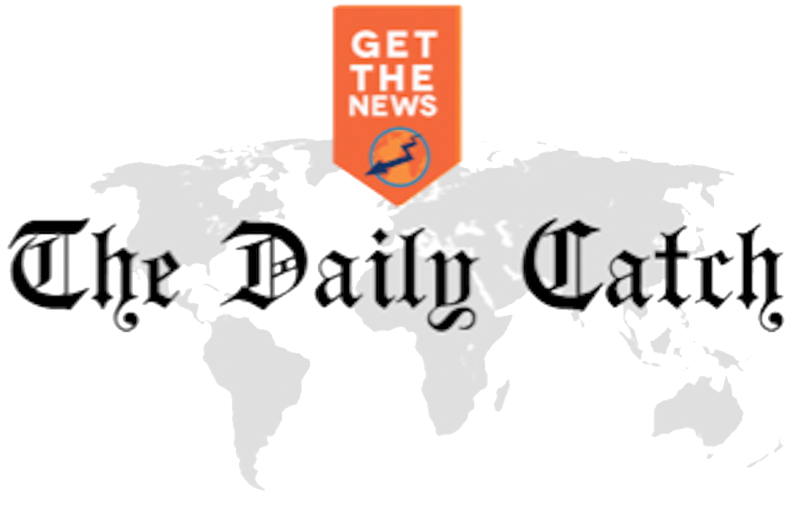 More than 400 episodes are now available for RSS feed, podcast, and syndicated use at no cost by community and public radio stations worldwide. 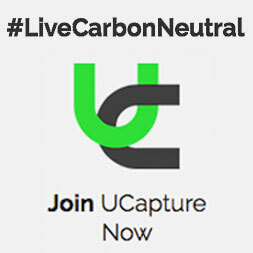 We are distributed throughout North America, Europe, Hong Kong, Australia, New Zealand, and Africa. Broadcasters: please contact us for more information. The fifth edition of WORLD OCEAN JOURNAL is dedicated to Ocean Literacy: Educating and Engaging the Next Generation of Ocean Stewards. A direct link to the 2019 volume 5 Journal is available at online.anyflip.com/djgb/ezez. This volume offers an anthology of reflections, examples, illustrations, and demonstrations that represent the best responses to the challenges we face. The work we describe here is based on the efforts of a group of ocean experts and educators to outline a curriculum intended to instill a full understanding of what the ocean means for our lives, for all aspects of the wellness and welfare of ourselves and the world ocean. LEARN MORE. An exploratory, educational gaming experience, free for use in the classroom and at home by ocean enthusiasts ages 10 and up. Inviting fresh ideas, new solutions, provocative and imaginative conversations about the future of the ocean, and links unexpected people with unexpected ideas. This is a place for key ocean voices — professionals and Citizens of the Ocean alike — to contribute to an active forum of opinion, ideas, and proposals for change in ocean policy and action worldwide. 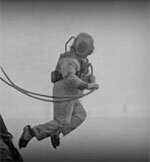 Provocative publications about the ocean, published in association with Leete's Island Books. Looking for activities, lesson plans, science projects or marine species resources for the classroom? Our Curriculum Catalog provides a comprehensive list of links to educational content, lesson plans, and educational activities for kindergarten through secondary programs. World Ocean Observatory is pleased to offer a variety of original and third party ocean exhibits. Our goal is to connect our audience of more than one million visitors each year with maritime museums and aquariums around the globe. We wish to be a central location for a wide variety of ocean-related exhibits related to maritime heritage, culture, climate, art, science, and examples of the important role that the ocean plays in our lives. Visit and subscribe to W2O's YouTube Channel to find a variety of relevant, cutting-edge, beautiful, informative, and thoughtful original and curated content. Our intent is to communicate the full spectrum of today's ocean issues: climate, fresh water, food, energy, trade, transportation, public health, finance, governance, recreation, culture and more. Subscribe today. 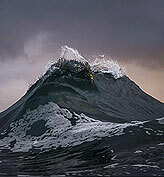 World Ocean Observatory is pleased to announce the release of World Ocean Journal, Volume 4. This year's edition focuses on the many ways the ocean impacts human health and well-being.